An extremely talented dancer and friend recommended this TED talk to me, and I had to pass it on to you. 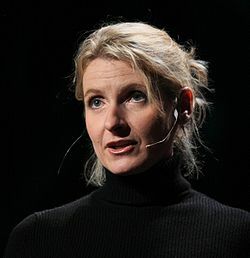 Elizabeth Gilbert is the author of “Eat Pray Love” but here reflects on creativity itself. She comes at it from a very refreshing perspective. I find it assuring that as an artist it is simply my job to show up regularly and do my job: create. This entry was posted in Interesting.... and tagged being creative, Elizabeth Gilbert, having a genius, the muse in art. Bookmark the permalink.